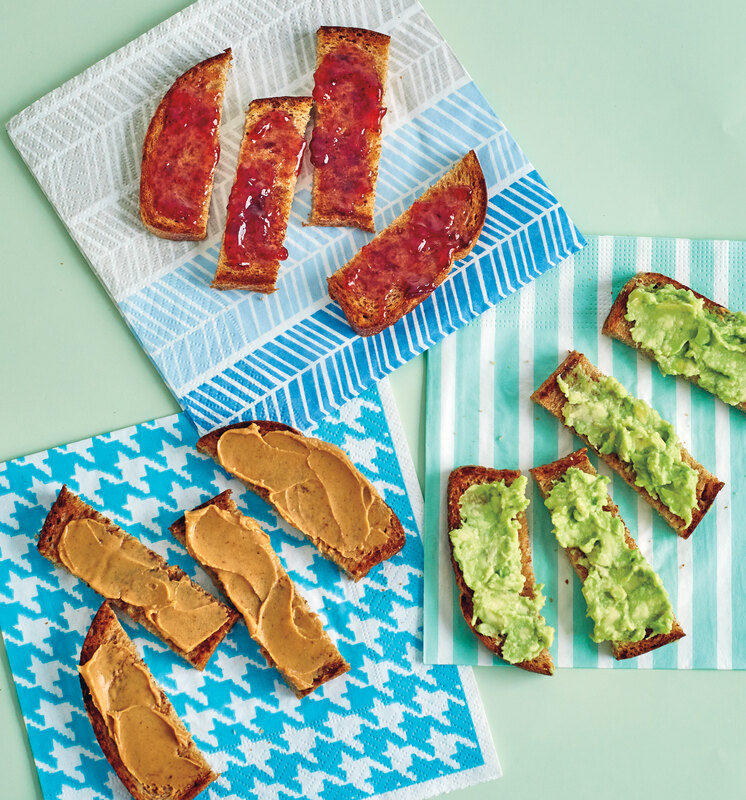 Sure, avocado toast may be a trendy breakfast for grown-ups, but toast is actually an ideal finger food for babies and toddlers. Cut into thin strips for baby-led feeding, it is easy for babies to grasp. 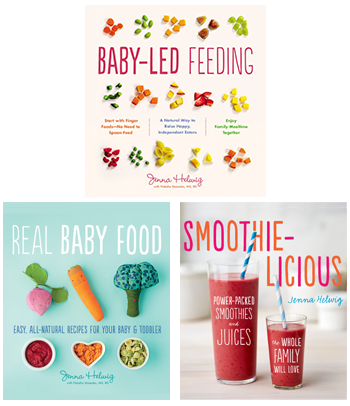 It’s a cinch for busy parents to make. It can serve as breakfast, lunch, snack, or dinner (how many foods can you say that about? ), and it’s the perfect vehicle for a variety of healthy and delicious toppings. 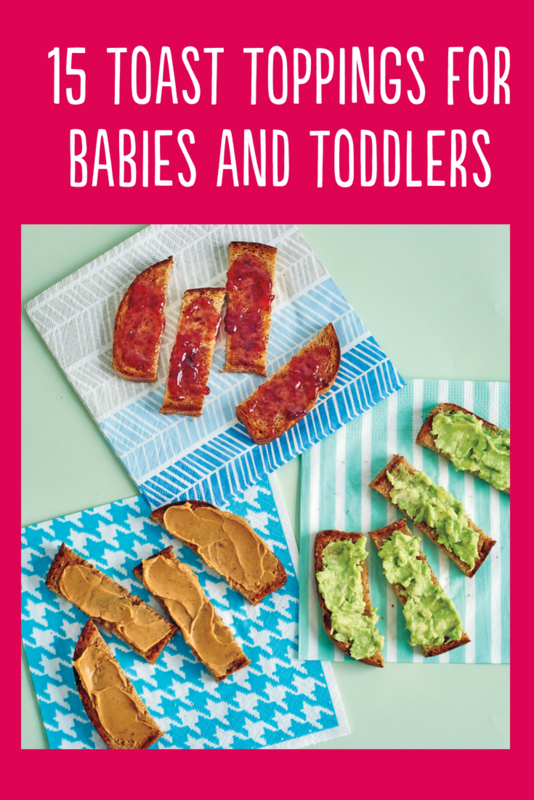 All of that is great, but I really love toast for babies because it’s a simple, fuss-free way to introduce potential allergens like peanuts, tree nuts, and sesame. Just spread a thin layer on lightly toasted bread, cut into strips and serve. At first, your baby likely won’t ingest an awful lot of the topping (or the toast), but she’ll be exposed to the potential allergen. And pediatricians and allergists now recommend exposing babies to allergens early on, between 4-6 months. If your baby is at high risk of developing allergies (there are food allergies in the family or she has eczema) speak with your pediatrician before offering these foods to your baby. Here are my favorite toast toppings for babies and toddlers. Some are potential allergens, others are novel ways to introduce new flavors, and the rest are just plain delicious. Finally, make sure to start with bread that isn’t too hard or chewy. This is one case where sliced sandwich bread is probably your best bet. Look for a variety low in sugar (preferably 2 grams or less per slice, but definitely 3 grams or less) where the first ingredient is a whole grain, likely whole wheat. Tell me what toast toppings I forgot, and happy eating! Photo by Lauren Volo from Baby-Led Feeding.